This article is about the German jurist and political theorist. For the American artist, see Carl Schmitt (artist). For New Zealand violinist and composer, see Carl Gustav Schmitt. For people with a similar name, see Carl Schmidt. Carl Schmitt (/ʃmɪt/; German: [ʃmɪt]; 11 July 1888 – 7 April 1985) was a conservative German jurist and political theorist. Schmitt wrote extensively about the effective wielding of political power. His work has been a major influence on subsequent political theory, legal theory, continental philosophy and political theology, and remains both influential and controversial due to his close association and juridical-political allegiance with Nazism. He is known as the "crown jurist of the Third Reich". Schmitt's work has attracted the attention of numerous philosophers and political theorists, including Giorgio Agamben, Hannah Arendt, Walter Benjamin, Susan Buck-Morss, Jacques Derrida, Jürgen Habermas, Waldemar Gurian, Jaime Guzmán, Friedrich Hayek, Chantal Mouffe, Antonio Negri, Leo Strauss, Adrian Vermeule, and Slavoj Žižek among others. 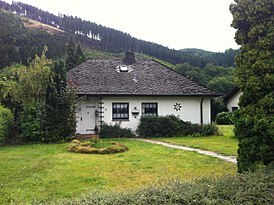 Schmitt was born in Plettenberg, Westphalia, German Empire. His parents were Roman Catholics from the German Eifel region who had settled in Plettenberg. His father was a minor businessman. He studied law at Berlin, Munich and Strasbourg and took his graduation and state examinations in then-German Strasbourg during 1915. His 1910 doctoral thesis was titled Über Schuld und Schuldarten (On Guilt and Types of Guilt). He volunteered for the army during 1916. The same year, he earned his habilitation at Strasbourg with a thesis under the title Der Wert des Staates und die Bedeutung des Einzelnen (The Value of the State and the Significance of the Individual). He then taught at various business schools and universities, namely at the University of Greifswald (1921), the University of Bonn (1921), the Technische Universität München (1928), the University of Cologne (1933), and the University of Berlin (1933–1945). During 1916, Schmitt married his first wife, Pavla[notes 1] Dorotić, a Serbian woman who pretended to be a countess. They were divorced, though an appeal to the Catholic Church for an annulment was rejected. During 1926 he married his second wife, Duška Todorović (1903–1950), also Serbian; they had one daughter, named Anima. Subsequently, Schmitt was excommunicated because his first marriage had not been annulled by the Church. His daughter Anima Schmitt de Otero (1931–1983) was married, from 1957, to Alfonso Otero Valera (1925–2001), a Spanish law professor at the University of Santiago de Compostela and a member of the ruling Spanish Falange party under the Franco régime. She translated several works by her father into Spanish. Letters from Carl Schmitt to his son-in-law have also been published. As a young man, Schmitt was "a devoted Catholic until his break with the church in the mid twenties." From around the end of the First World War, he began to describe his Catholicism as "displaced" and "de-totalised". Consequently, Gross argues that his work "cannot be reduced to Roman Catholic theology given a political turn. Rather, Schmitt should be understood as carrying an atheistic political-theological tradition to an extreme." Schmitt met Mircea Eliade in Berlin during the summer of 1942 and spoke later of Eliade to his friend Ernst Jünger and of his interest to Eliade's works. Apart from his academic functions, in 1932, Schmitt was counsel for the Reich government in the case "Preussen contra Reich" ("Prussia v. Reich") in which the Social Democratic Party of Germany-controlled government of the state of Prussia disputed its dismissal by the right-wing Reich government of Franz von Papen. Papen was motivated to do so because Prussia, by far the largest state in Germany, served as a powerful base for the political left and provided it with institutional power, particularly in the form of the Prussian police. Schmitt, Carl Bilfinger and Erwin Jacobi represented the Reich and one of the counsel for the Prussian government was Hermann Heller. The court ruled in October 1932 that the Prussian government had been suspended unlawfully but that the Reich had the right to install a commissar. In German history, the struggle resulting in the de facto destruction of federalism in the Weimar republic is known as the "Preußenschlag." it is Hegel qua philosopher of the "bureaucratic class" or Beamtenstaat that has been definitely surpassed with Hitler's triumph... this class of civil servants—which Hegel in the Rechtsphilosophie deems the "universal class"—represents an impermissible drag on the sovereignty of executive authority. For Schmitt... the very essence of the bureaucratic conduct of business is reverence for the norm, a standpoint that could not but exist in great tension with the doctrines of Carl Schmitt... Hegel had set an ignominious precedent by according this putative universal class a position of preeminence in his political thought, insofar as the primacy of the bureaucracy tends to diminish or supplant the prerogative of sovereign authority. After the Nazis forced through the passage of the Enabling Act of 1933, which changed the Weimar Constitution to allow the "present government" to rule by decree, bypassing both the President, Paul von Hindenburg, and the Reichstag, Alfred Hugenberg, the leader of the German National People's Party – which was one of the Nazi's partners in the coalition government, but was being squeezed out of existence – hoped to slow down the Nazi takeover of the country by threatening to quit his ministry position in the Cabinet. Hugenberg reasoned that by doing so, the government would thereby be changed, and the Enabling Act would no longer apply, as the "present government" that had been would no longer exist. It was a legal opinion by Carl Schmitt which prevented this political maneuver from succeeding. Schmitt, well known as a constitutional theorist, declared that "present government" did not refer to the specific make-up of the Cabinet when the Act was passed, but to the "completely different kind of government" – that is, different from the democracy of the Weimar Republic – which the Hitler cabinet had brought into existence. Schmitt joined the Nazi Party on 1 May 1933. Within days, Schmitt was party to the burning of books by Jewish authors, rejoicing in the burning of "un-German" and "anti-German" material, and calling for a much more extensive purge, to include works by authors influenced by Jewish ideas. In July he was appointed State Councillor for Prussia by Hermann Göring and in November he became the president of the "Union of National-Socialist Jurists". He also replaced Hermann Heller as a professor at the University of Berlin, a position he would hold until the end of World War II. He presented his theories as an ideological foundation of the Nazi dictatorship, and a justification of the Führer state concerning legal philosophy, particularly through the concept of auctoritas. In June 1934, Schmitt was appointed editor-in-chief of the Nazi newspaper for lawyers, the Deutsche Juristen-Zeitung ("German Jurists' Journal"). In July he published in it "The Leader Protects the Law (Der Führer schützt das Recht)", a justification of the political murders of the Night of the Long Knives with the authority of Hitler as the "highest form of administrative justice (höchste Form administrativer Justiz)". 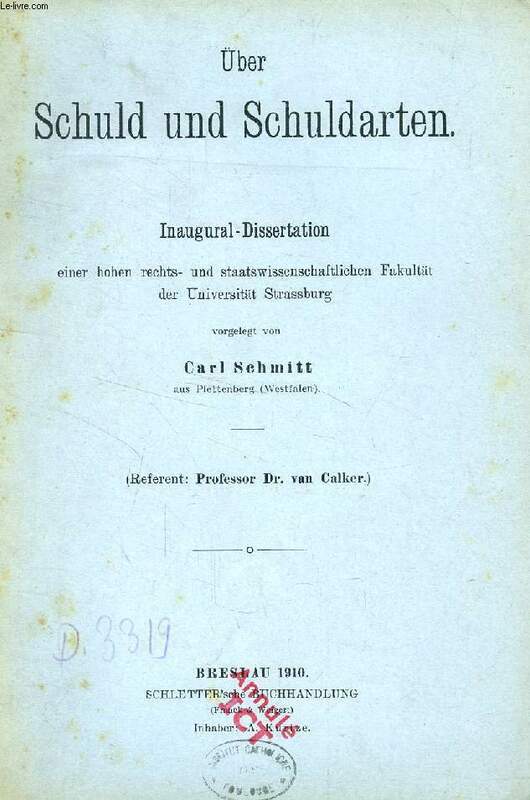 Schmitt presented himself as a radical anti-semite and also was the chairman of a law teachers' convention in Berlin during October 1936, where he demanded that German law be cleansed of the "Jewish spirit (jüdischem Geist)", going so far as to demand that all publications by Jewish scientists should henceforth be marked with a small symbol. 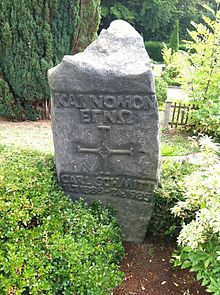 Nevertheless, in December 1936, the Schutzstaffel (SS) publication Das schwarze Korps accused Schmitt of being an opportunist, a Hegelian state thinker, and a Catholic, and called his anti-semitism a mere pretense, citing earlier statements in which he criticized the Nazis' racial theories. After this, Schmitt resigned from his position as Reichsfachgruppenleiter (Reich Professional Group Leader), although he retained his job as a professor in Berlin and his title "Prussian State Councillor". Although Schmitt continued to be investigated into 1937, further reprisals were stopped by Göring. In 1945, Schmitt was captured by American forces and, after spending more than a year in an internment camp, he returned to his home town of Plettenberg and later to the house of his housekeeper Anni Stand in Plettenberg-Pasel. Schmitt refused every attempt at de-nazification, which effectively barred him from academic jobs. Despite being isolated from the mainstream of the scholarly and political community, he continued his studies especially of international law from the 1950s on, and he frequently received visitors, both colleagues and younger intellectuals, until well into his old age. Important among these visitors were Ernst Jünger, Jacob Taubes and Alexandre Kojève. In 1962, Schmitt gave lectures in Francoist Spain, two of which resulted in the publication, the next year, of Theory of the Partisan (Telos Press, 2007), in which he characterized the Spanish Civil War as a "war of national liberation" against "international Communism". Schmitt regarded the partisan as a specific and significant phenomenon which, during the latter half of the 20th century, indicated the emergence of a new theory of warfare. During 1921, Schmitt became a professor at the University of Greifswald, where he published his essay Die Diktatur (on dictatorship), in which he discussed the foundations of the newly established Weimar Republic, emphasising the office of the Reichspräsident. In this essay, Schmitt compared and contrasted what he saw as the effective and ineffective elements of the new constitution of his country. He saw the office of the president as a comparatively effective element, because of the power granted to the president to declare a state of exception (Ausnahmezustand). This power, which Schmitt discussed and implicitly praised as dictatorial, was more in line with the underlying mentality of executive power than the comparatively slow and ineffective processes of legislative power reached through parliamentary discussion and compromise. If the constitution of a state is democratic, then every exceptional negation of democratic principles, every exercise of state power independent of the approval of the majority, can be called dictatorship. For Schmitt, every government capable of decisive action must include a dictatorial element within its constitution. Although the German concept of Ausnahmezustand is best translated as "state of emergency", it literally means "state of exception" which, according to Schmitt, frees the executive from any legal restraints to its power that would normally apply. The use of the term "exceptional" has to be underlined here: Schmitt defines sovereignty as the power to decide the instauration of state of exception, as Giorgio Agamben has noted. According to Agamben, Schmitt's conceptualization of the "state of exception" as belonging to the core-concept of sovereignty was a response to Walter Benjamin's concept of a "pure" or "revolutionary" violence, which did not enter into any relationship whatsoever with right. Through the state of exception, Schmitt included all types of violence under right, in the case of the authority of Hitler leading to the formulation "The leader defends the law" ("Der Führer schützt das Recht"). On Dictatorship was followed by another essay in 1922, titled Politische Theologie (political theology); in it, Schmitt, who at the time was working as a professor at the University of Bonn, gave further substance to his authoritarian theories, analysing the concept of "free will" influenced by Christian-Catholic thinkers. The book begins with Schmitt's famous, or notorious, definition: "Sovereign is he who decides on the exception." By "exception", Schmitt means the appropriate moment for stepping outside the rule of law in the public interest (see discussion of On Dictatorship above). Schmitt proposes this definition to those offered by contemporary theorists of sovereignty, particularly Hans Kelsen, whose work is criticized at several points in the essay. The book's title derives from Schmitt's assertion (in chapter 3) that "all significant concepts of the modern theory of the state are secularized theological concepts"—in other words, that political theory addresses the state (and sovereignty) in much the same manner as theology does God. In chapter 4 of his State of Exception (2005), Italian philosopher Giorgio Agamben argued that Schmitt's Political Theology ought to be read as a response to Walter Benjamin's influential essay Towards the Critique of Violence. Schmitt changed universities in 1926, when he became professor of law at the Handelshochschule in Berlin, and again in 1932, when he accepted a position in Cologne. It was from lectures at the Deutsche Hochschule für Politik in Berlin that he wrote his most famous paper, "Der Begriff des Politischen" ("The Concept of the Political"), in which he developed his theory of "the political". Distinct from party politics, "the political" is the essence of politics. While churches are predominant in religion or society is predominant in economics, the state is predominant in politics. Yet for Schmitt the political was not an autonomous domain equivalent to the other domains, but rather the existential basis that would determine any other domain should it reach the point of politics (e.g. religion ceases to be merely theological when it makes a clear distinction between the "friend" and the "enemy"). The political is not equal to any other domain, such as the economic (which distinguishes between profitable and not profitable), but instead is the most essential to identity. Schmitt, in perhaps his best-known formulation, bases his conceptual realm of state sovereignty and autonomy upon the distinction between friend and enemy. This distinction is to be determined "existentially", which is to say that the enemy is whoever is "in a specially intense way, existentially something different and alien, so that in the extreme case conflicts with him are possible." Such an enemy need not even be based on nationality: so long as the conflict is potentially intense enough to become a violent one between political entities, the actual substance of enmity may be anything. Schmitt's positive reference for Leo Strauss, and Schmitt's approval of his work, had been instrumental in winning Strauss the scholarship funding that allowed him to leave Germany. In turn, Strauss's critique and clarifications of The Concept of the Political led Schmitt to make significant emendations in its second edition. Writing to Schmitt during 1932, Strauss summarized Schmitt's political theology thus: "[B]ecause man is by nature evil, he therefore needs dominion. But dominion can be established, that is, men can be unified only in a unity against—against other men. Every association of men is necessarily a separation from other men ... the political thus understood is not the constitutive principle of the state, of order, but a condition of the state." Some of the letters between Schmitt and Strauss have been published. The Nomos of the Earth is Schmitt's most historical and geopolitical work. Published in 1950, it was also one of his final texts. It describes the origin of the Eurocentric global order, which Schmitt dates from the discovery of the New World, discusses its specific character and its contribution to civilization, analyses the reasons for its decline at the end of the 19th century, and concludes with prospects for a new world order. It defends European achievements, not only in creating the first truly global order of international law, but also in limiting war to conflicts among sovereign states, which, in effect, civilized war. In Schmitt's view, the European sovereign state was the greatest achievement of Occidental rationalism; in becoming the principal agency of secularization, the European state created the modern age. Notable in Schmitt's discussion of the European epoch of world history is the role played by the New World, which ultimately replaced the old world as the centre of the Earth and became the arbiter in European and world politics. According to Schmitt, the United States' internal conflicts between economic presence and political absence, between isolationism and interventionism, are global problems, which today continue to hamper the creation of a new world order. But however critical Schmitt is of American actions at the end of the 19th century and after World War I, he considered the United States to be the only political entity capable of resolving the crisis of global order. Published in 1956, Hamlet or Hecuba: The Intrusion of the Time into the Play was Schmitt's most extended piece of literary criticism. In it Schmitt focuses his attention on Shakespeare's Hamlet and argues that the significance of the work hinges on its ability to integrate history in the form of the taboo of the queen and the deformation of the figure of the avenger. Schmitt uses this interpretation to develop a theory of myth and politics that serves as a cultural foundation for his concept of political representation. Beyond literary criticism or historical analysis, Schmitt's book also reveals a comprehensive theory of the relationship between aesthetics and politics that responds to alternative ideas developed by Walter Benjamin and Theodor W. Adorno. Despite certain signs of ironic distrust in the areas of metaphysics and ontology, The Concept of the Political was, as we have seen, a philosophical type of essay to 'frame' the topic of a concept unable to constitute itself on philosophical ground. But in Theory of the Partisan, it is in the same areas that the topic of this concept is both radicalized and properly uprooted, where Schmitt wished to regrasp in history the event or node of events that engaged this uprooting radicalisation, and it is precisely there that the philosophical as such intervenes again. Schmitt concludes Theory of the Partisan with the statement: "The theory of the partisan flows into the question of the concept of the political, into the question of the real enemy and of a new nomos of the earth." Schmitt's work on the Partisan has since spurred comparisons with the post-9/11 'terrorist' in recent scholarship. Through Walter Benjamin, Giorgio Agamben, Andrew Arato, Chantal Mouffe and other writers, Schmitt has become a common reference in recent writings of the intellectual left as well as the right. These discussions concern not only the interpretation of Schmitt's own positions, but also matters relevant to contemporary politics: the idea that laws of the state cannot strictly limit actions of its sovereign, the problem of a "state of exception" (later expanded upon by Agamben). Schmitt's argument that political concepts are secularized theological concepts has also recently been seen as consequential for those interested in contemporary political theology. The German-Jewish philosopher Jacob Taubes, for example, engaged Schmitt widely in his study of Saint Paul, The Political Theology of Paul (Stanford Univ. Press, 2004). Taubes' understanding of political theology is, however, very different from Schmitt's, and emphasizes the political aspect of theological claims, rather than the religious derivation of political claims. According to historian Renato Cristi in the writing of the present Constitution of Chile Pinochet collaborator Jaime Guzmán based his work on the pouvoir constituant concept used by Schmitt as well as drawing inspiration in the ideas of market society of Friedrich Hayek. This way Guzmán would have enabled a framework for an authoritarian state with a free market system. Some have argued that neoconservativism has been influenced by Schmitt. Most notably the legal opinions offered by Alberto Gonzales, John Yoo et al. by invoking the unitary executive theory to justify highly controversial policies in the war on terror—such as introducing unlawful combatant status which purportedly would eliminate protection by the Geneva Conventions, torture, NSA electronic surveillance program—mimic his writings. Professor David Luban said in 2011 that "[a] Lexis search reveals five law review references to Schmitt between 1980 and 1990; 114 between 1990 and 2000; and 420 since 2000, with almost twice as many in the last five years as the previous five". Four Articles, 1931–1938. Simona Draghici, trans. (Plutarch Press, 1999). Originally published as part of Positionen und Begriffe im Kampf mit Weimar – Genf – Versailles, 1923–1939 (1940). Der Begriff des Politischen, in: Archiv für Sozialwissenschaft und Sozialpolitik vol. 58, no. 1, 1927, 1–33. Der Begriff des Politischen, 1932 (elaboration of the 1927 essay). ^ In Germany, "Pavla" is usually rendered as "Pawla" even though the letter "w" is used in the Serbian auxiliary Latin alphabet only for foreign words. ^ Hoffman, John (2015). Introduction to Political Theory. Routledge. p. 114. ISBN 9781317556602. ^ Martin, James (2008). Piero Gobetti and the Politics of Liberal Revolution. p. 142. ISBN 978-0-230-61686-8. ^ Vermeule, Adrian (February 2009). "Our Schmittian Administrative Law" (PDF). Harvard Law Review. 122: 1095. ^ a b Balakrishnan, Gopal (2000). The Enemy. Verso. pp. 168–69. ISBN 978-1-85984-760-2. ^ Wolin, Richard (1992). "Carl Schmitt: The Conservative Revolutionary Habitus and the Aesthetics of Horror". Political Theory. 20 (3): 424–25. doi:10.1177/0090591792020003003. ^ Lind, Michael (2015-04-23). "Carl Schmitt's War on Liberalism". The National Interest. Retrieved 2018-10-31. ^ "Carl Schmitt in China | The China Story". www.thechinastory.org. Retrieved 2018-10-31. ^ Schmitt, Carl (2008-12-01). The Concept of the Political: Expanded Edition. University of Chicago Press. ISBN 9780226738840. ^ Die Diktatur § XV p. 11. ^ Gottfried, Paul (1990). Carl Schmitt. Claridge Press. p. 20. ISBN��978-1-870626-46-0. ^ Derrida, Jacques (1997). The Politics of Friendship. Verso. p. 146. ISBN 978-1-84467-054-3. ^ See for example Lebovic, Nitzan (2008), "The Jerusalem School: The Theo-Political Hour", New German Critique (103), 97–120. ^ El pensamiento político de Jaime Guzmán (2nd ed.). LOM Ediciones. Retrieved 10 July 2014. Giacomo Maria Arrigo, Islamist Terrorism in Carl Schmitt's Reading, In Circolo 4 (2017). Jacques Derrida, "Force of Law: The 'Mystical Foundation of Authority'", in Acts of Religion (2002). Julia Hell, "Katechon: Carl Schmitt’s Imperial Theology and the Ruins of the Future", The Germanic Review 84:4 (2009): 283–326. Herrero, Montserrat. 2015. The political discourse of Carl Schmitt. Lanham, MD: Rowman & Littlefield. Ignaz Zangerle, "Zur Situation der Kirche", Der Brenner 14 (1933/34): 52 ff. "Indagini su Epimeteo tra Ivan Illich, Konrad Weiss e Carl Schmitt" (PDF) (in Italian). Il Covile. 2008. Retrieved 28 February 2013. Caldwell, Peter C. "Controversies over Carl Schmitt: a review of recent literature." Journal of Modern History (2005), 77#2 pp 357–387. Vinx, Lars. "Carl Schmitt". In Zalta, Edward N. (ed.). Stanford Encyclopedia of Philosophy. "The Nazi Jurist" in Claremont Review of Books, Summer 2015.